AQUA MAJESTIC TECHNOLOGIES 9787120409, 7810082008 RO WATER PURIFIER DEALER IN RAMNAD, RO WATER PURIFIER DISTRIBUTORS IN CHENNAI, RO WATER PURIFIER DEALER IN MADURAI, RO WATER PURIFIER DEALER IN PARAMAKUDI, BEST RO WATER PURIFIER DEALER IN KARAIKUDI, RO WATER PURIFIER DEALER IN SIVAKASI, BEST RO WATER PURIFIER DEALER IN VIRUDHUNAGAR, RO WATER PURIFIER DEALER IN RAJAPALAYAM, RO WATER PURIFIER DEALER IN KOVILPATTI RO WTAER PURIFER IN SINGAPUNARY BEST COMMERCIAL WATER PURIFIER IN TAMIL NADU, WATER SOFTENER COMMERCIAL WATER SOFTENER Reverse Osmosis(RO) water purifier is best suitable to treat hard water. RO water purifier removes dissolved materials, contaminants but RO water purifier not much effective over microorganisms. RO Water purifiers can even remove the dissolved salts present in the water. 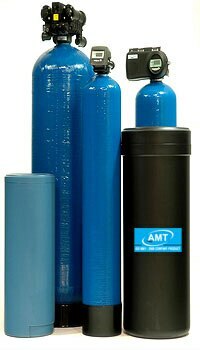 These water purifiers employ a very fine membrane that removes all the dissolved and suspended impurities present in the water. UV plants deactivate bacteria and viruses present in the drinking water but they can not remove harmful chemicals and dissolved impurities present in it. Smart, for smartest water purification * Removes impurities and does not use chemicals * Removes unnecessary salts and minerals *Enhances the taste of water *Eliminates impurities that cause high blood pressure, kidney stones, indigestion Ultrafiltration (UF) is a type of membrane filtration in which hydrostatic pressure forces a liquid against a semipermeable membrane. A semipermeable membrane is a thin layer of material capable of separating substances when a driving force is applied across the membrane.